Following on from my last comment in Art etc. No.3, about how art takes a long time to come to fruition, I listened to Miroslaw Balka on Radio 4 talking about art being as much about waiting as about making. he was referring to objects in his studio that were just waiting for the right time to become part of his work. There are so many things that feed into how one creates. The other day a damselfly brushed against my leg as I was cycling. It was just the merest touch but reminded me not to be heavy-handed, how delicate the ways that concepts can be put across. I went to the University of Nottingham’s conference on Place and Placelessness. Lots of interesting ideas and was particularly taken with some of the passion that came across when talking about their work. But really, this has been a week off, a little drawing, mostly of a dead butterfly that I found on the way to the pub. Magnifying it, it is quite impressive and I think this will take me quite some time. 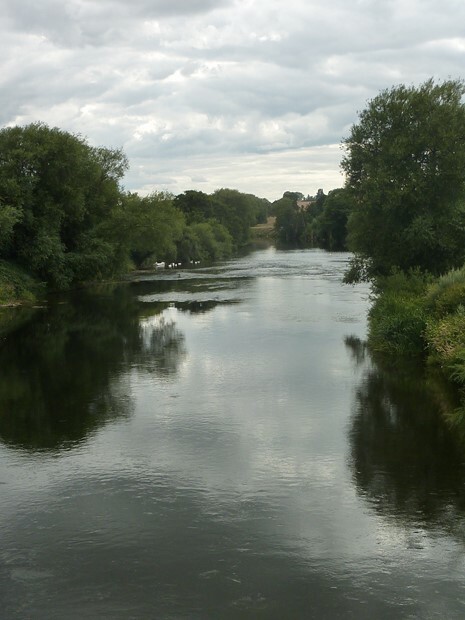 My holiday was taken by the River Wye, walking and kayaking. Listening to the sound the front of the kayak makes on going into the rapids upstream, it sounded like breaking ice, and was like listening to the fragility of existence.